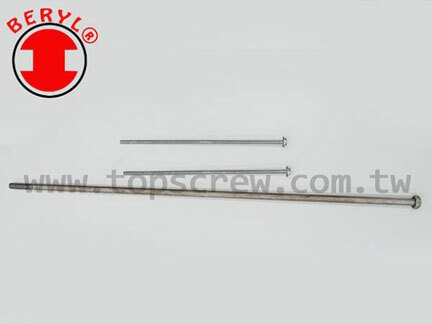 1.EASY AND FAST IN INSTALLATION WITH HANDY TOOL. 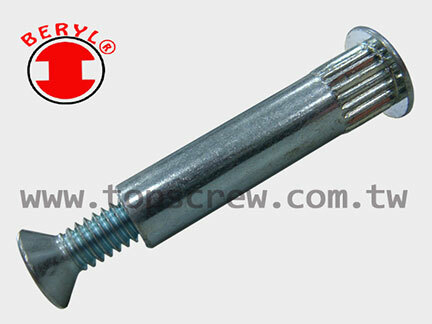 2.PROVIDES HIGH TORQUE AND STRONG THREADS IN COMPARING WITH NORMAL FASTENERS. 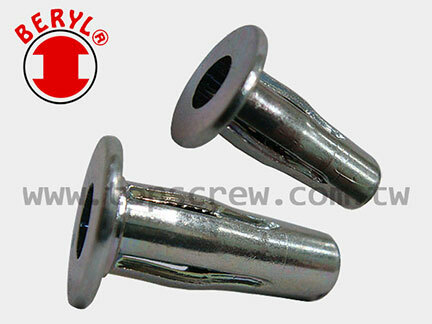 3.WELDING PROCESS IN NOT REQUIRED IN INSTALLING BOLT (SCREW) RIVET NUT. 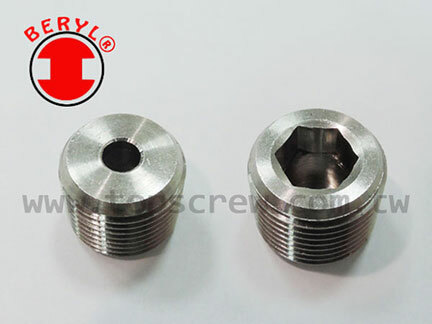 4.ABLE TO REDUCE ASSEMBLING TIME AND IMPROVE OUTPUT. 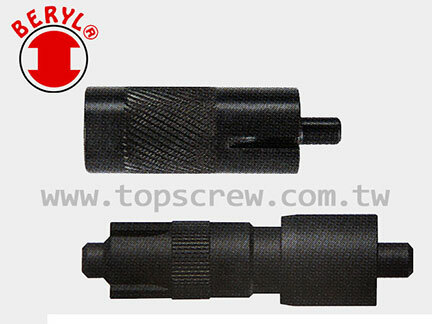 5.ABLE TO PROVIDE A STRONG BINDING SUPPORT ON COMBINATION APPLICATIONS. 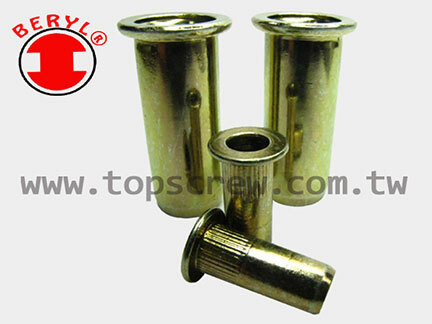 6.WILL NOT LOOSEN FROM VIBRATING OBJECTS ONCE ITS' INSTALLED. 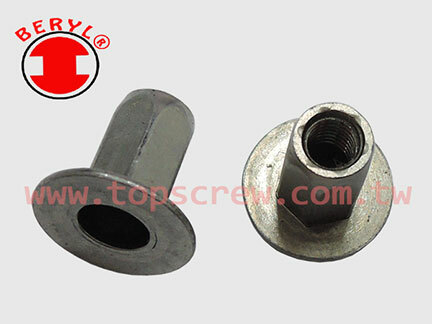 7.BOLT (SCREW) IS ALREADY COMBINED WITH BLIND RIVET NUT BEFORE INSTALLATION, SO IT IS NOT NECESSARY TO INSTALL THE SCREW ON THE BLIND RIVET NUT. 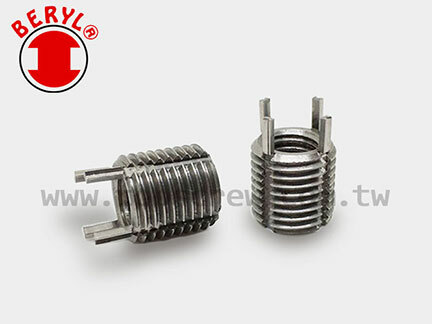 8.COMBINED RIGIDLY TO SUIT VIBRATING ENVIRONMENT. 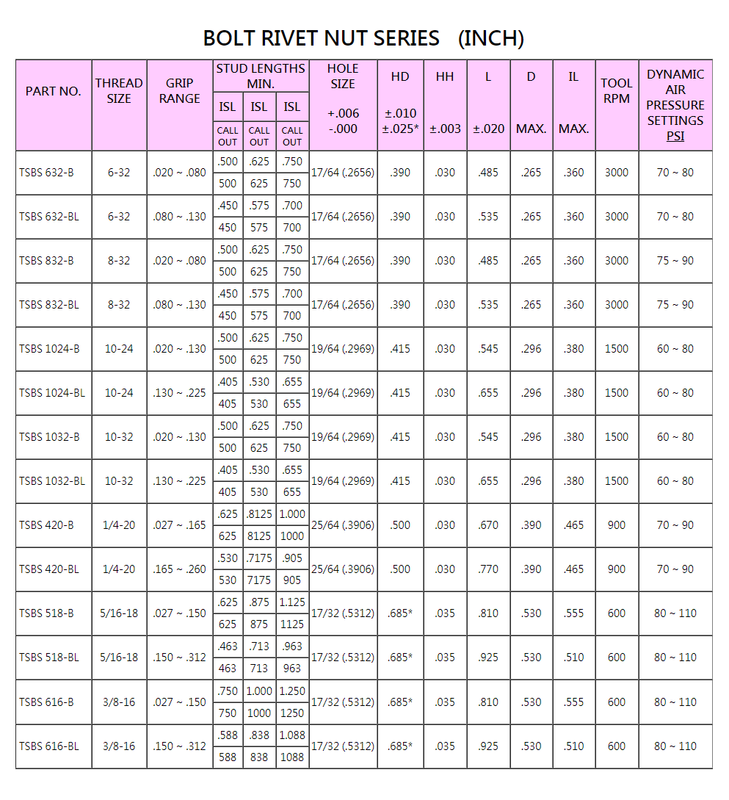 9.AVAILABLE IN BOTH UNC AND ISO DIMENSION. 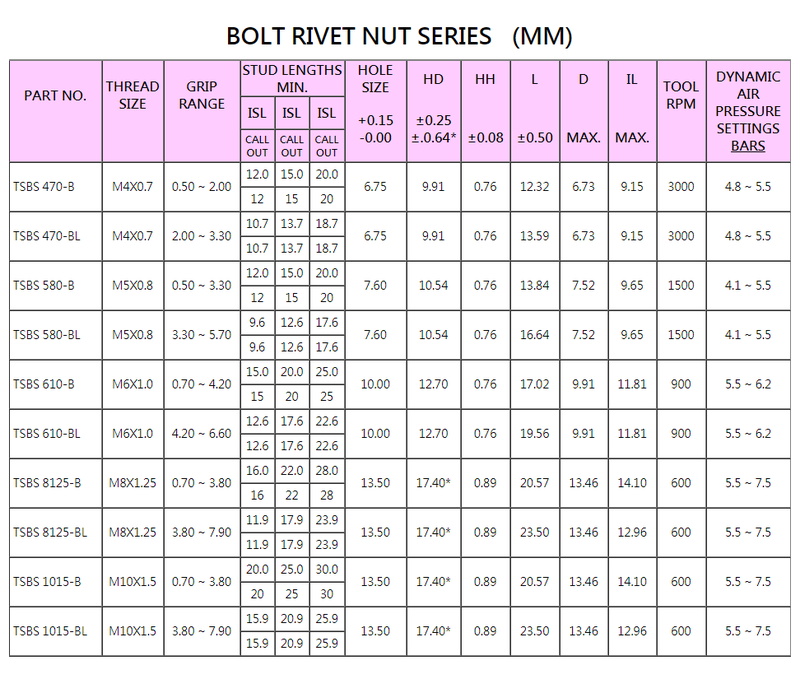 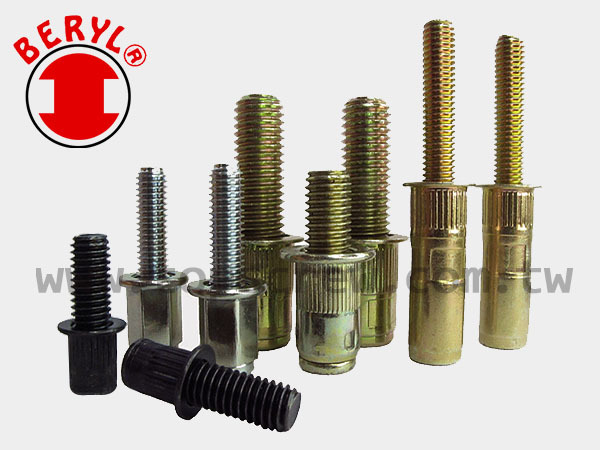 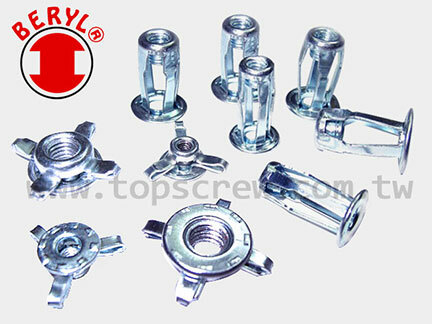 TOP SCREW IS ABLE TO MANUFACTURE OTHER SIZES OF BOLT (SCREW) RIVET NUT APART FROM THE SIZES SHOWN IN TABLE BELOW. 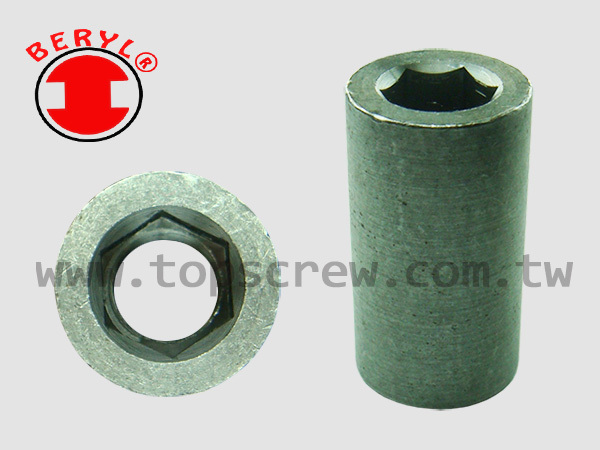 TOP SCREW IS ABLE TO MANUFACTURE BOLT (SCREW) RIVET NUT BASED ON THE STANDARD CYLINDRICAL, FULL HEXAGONAL AND HALF HEXAGONAL BLIND RIVET NUT IN TOP SCREW'S CATALOG. 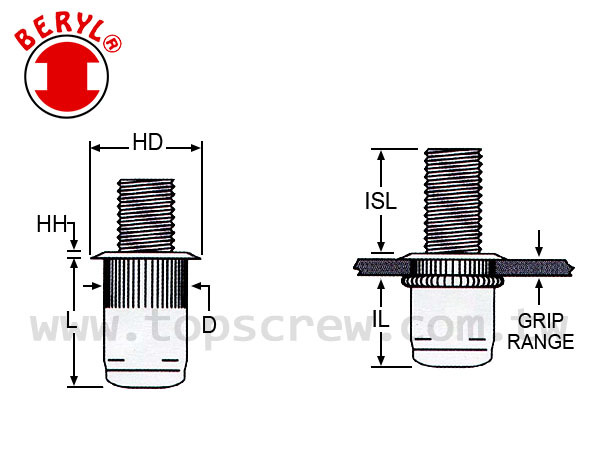 TOP SCREW IS ALSO CAPABLE FOR CUSTOMIZED SCREW (BOLT) RIVET NUT TO FULFILL YOUR REQUIREMENT FROM DESIGNING, RECOMMENDING AND OF COURSE MANUFACTURING. 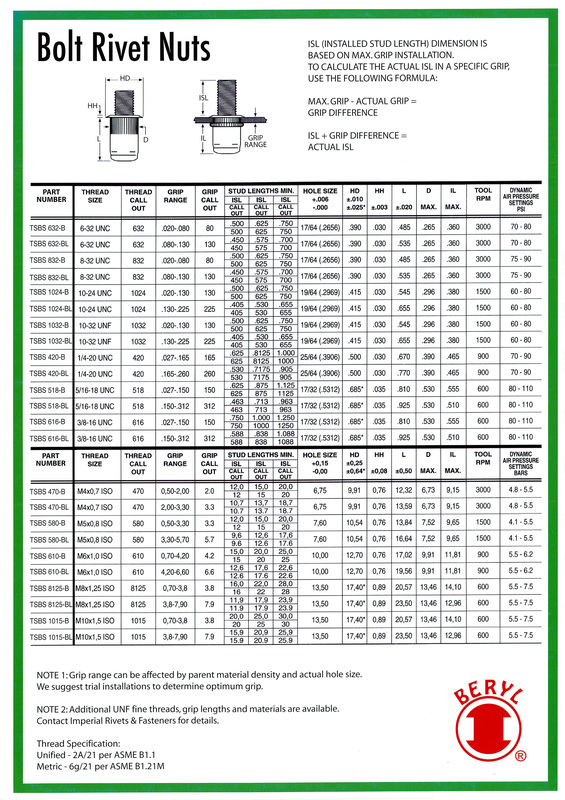 NOTE 1: GRIP RANGE CAN BE AFFECTED BY PARENT MATERIAL DENSITY AND ACTUAL HOLE SIZE. 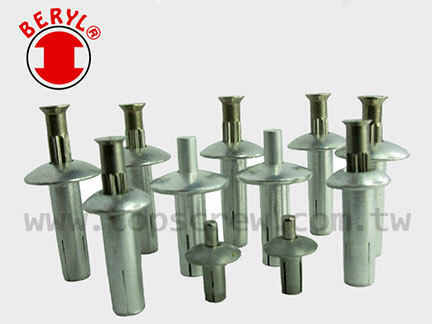 WE SUGGEST TRIAL INSTALLATIONS TO DETERMINE OPTIMUM GRIP. 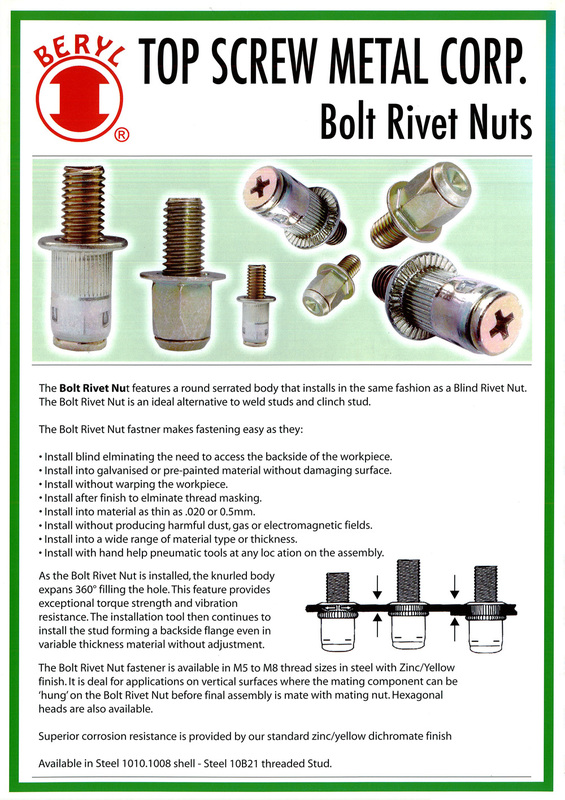 NOTE 2: ADDITIONAL UNF FINE THREADS, GRIP LENGTHS AND MATERIALS ARE AVAILABLE. 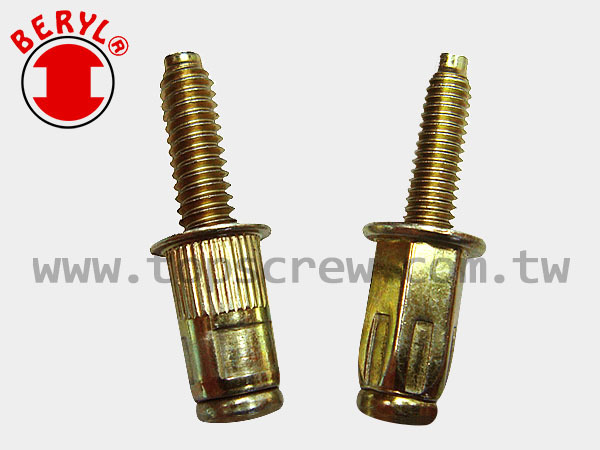 PLEASE CONTACT TOP SCREW METAL CORP. FOR MORE DETAIL.